Fresh ideas for a timeless holiday will help you and your family create memories that you’ll cherish for years. When the turkeys and hams go on sale at the supermarket, it’s time to start thinking about Thanksgiving. Amid the planning of the menu and the coordinating of all your guests, keeping abreast of the latest trends in dining and decor might not be at the front of your mind. 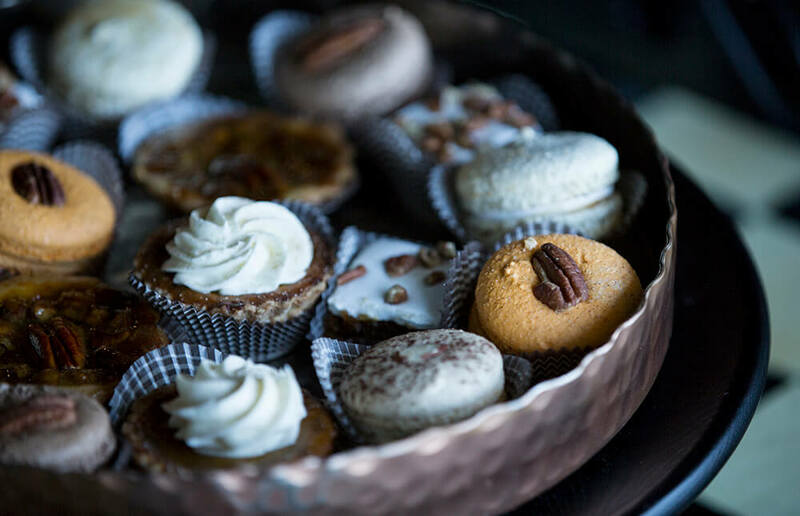 Fortunately, Charlotte-based Amélie’s French Bakery & Café combines food and decor in fresh, fun, and practical ways daily at their coffee shops, and Thanksgiving is one of their favorite challenges. We chatted with Amélie’s designer and cofounder Brenda Ische and executive chef and director of operations Mary Jayne Wilson for tips on how to execute a Thanksgiving that’ll keep your family well-fed and merry from start to finish. When creating a unique tablescape, Ische encourages expanding the search for materials to all store departments. “I always stroll through every department in the home goods section,” Ische says. “I’ve used a small rug to arrange my centerpiece. I’ve turned a decorative lampshade upside down, filled it with newspaper, and used it for my decorative fruit.” Other ideas include using a printed cloth shower curtain as a festive kids’ tablecloth, or pieces of ribbon from the craft department to tie silverware together. 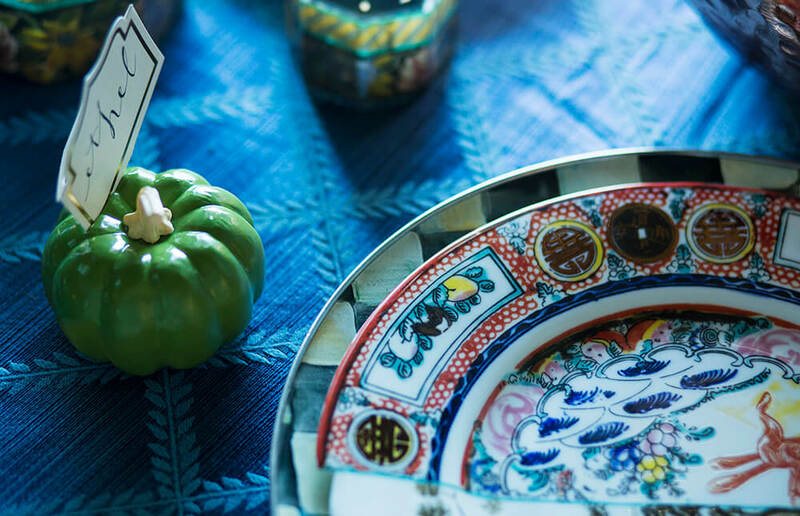 As for the plates and serving ware, “think beyond your grandma’s Thanksgiving table, where she had her matching silverware and china,” Ische recommends. Instead, put a modern spin on dinner china by mixing and matching plating patterns. Mismatched dishware looks best when each plate is placed on the same style of charger, on top of a solid-color tablecloth, that visually ties the different designs together. To find a variety of vintage dinner plates, plan a visit to a local antiques shop or thrift store; you might have to visit more than one to compose a complementary arrangement. 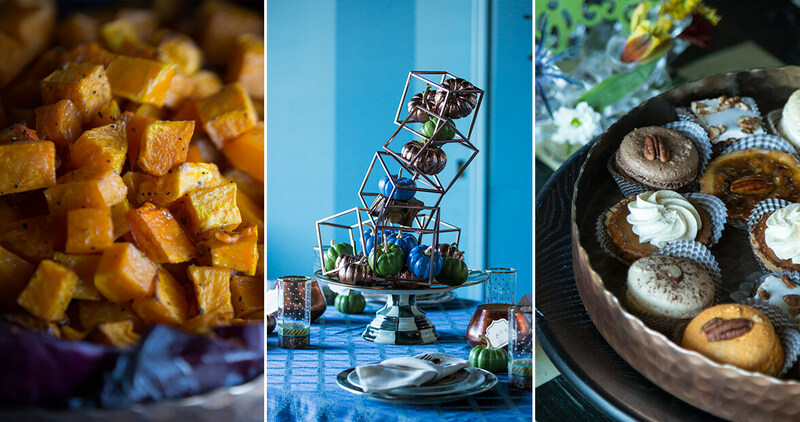 Instead of limiting your tablescape to traditional Thanksgiving colors of burnt orange, beige, and brown, add dimension by including blue or green. “You expect orange and brown,” Ische says. “The unexpected just gets everyone’s attention.” For a subtle shift, try slate blue napkin holders or sage green candles. 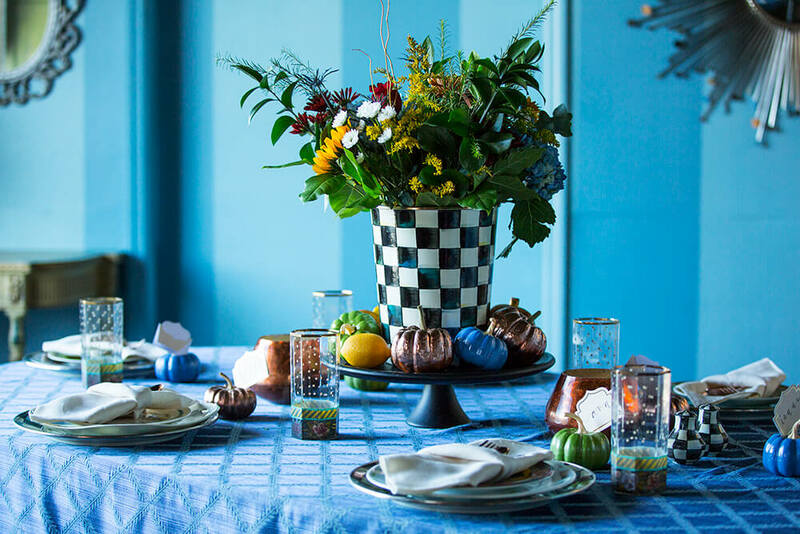 “The tablecloth is [also] an inexpensive way to add color to your table,” Ische says. Including copper-colored items when using brown or gold — but not both — is another harmonious color scheme idea. Creating a Thanksgiving table centerpiece doesn’t have to be an expensive undertaking. “Go through what you have at home and think of it differently,” Ische says. “What else could this bowl be? Could you turn it upside down, and use it as a pedestal?” Vases and candles of varying heights and sizes can be used to create a centerpiece that’s tall, but not so wide that it impedes across-the-table interaction among guests. To add variety and depth, Ische recommends placing smaller arrangements around the main centerpiece. A vase of fresh flowers, like orange roses, red carnations, and yellow chrysanthemums, is another classic centerpiece idea. Small, light appetizers will help tide guests over as they wait for the main meal. 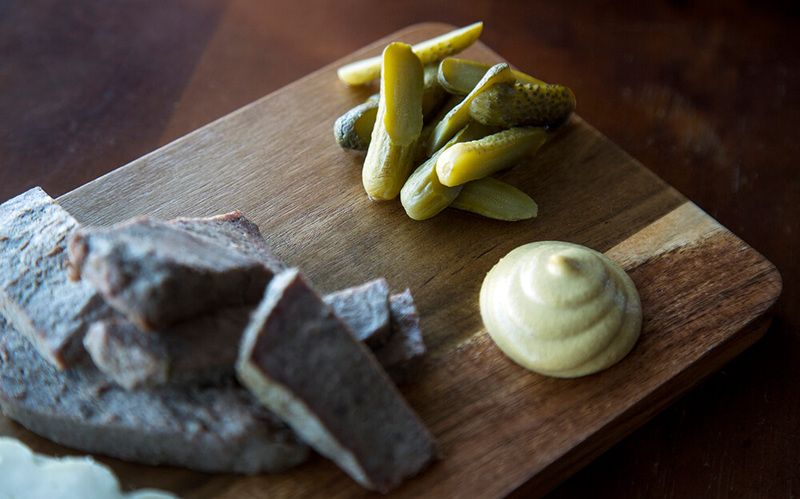 Wilson recommends a simple cheese and charcuterie board; it keeps your oven available for cooking entrées, and can be created using handmade cheeses from North Carolina creameries, such as Goat Lady Dairy in Climax, Looking Glass Creamery in Asheville, or Piemonte Farm in Greensboro. To create a cheese board, Amélie’s recommends combining: one hard cheese, such as a nutty Spanish manchego or Swiss-like Gruyère; one soft cheese, such as a Brie or Camembert; a variety of spreads, playing with both sweet and spicy flavors; a variety of breads or crackers; and small, tart cornichon pickles. Local bakeries are also great resources for seasonal rolls and breads that can be sliced and offered as an appetizer. Stick Boy Bread Co., with bakeries in Fuquay-Varina and Boone, has a variety of fall-themed breads such as pumpkin rosemary and sweet potato marshmallow brioche, and Bread & Butter in Chapel Hill bakes beer breads with North Carolina craft brews. 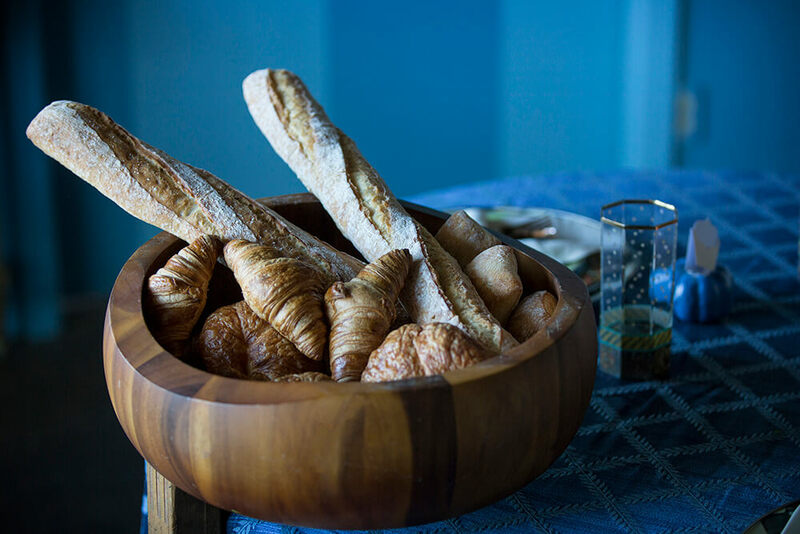 For those in the Charlotte area, Amélie’s offers plain and flavored croissants by the dozen, and a breads-and-spreads platter with baguettes and your choice of two to three spreads, like truffle honey and roasted garlic feta. 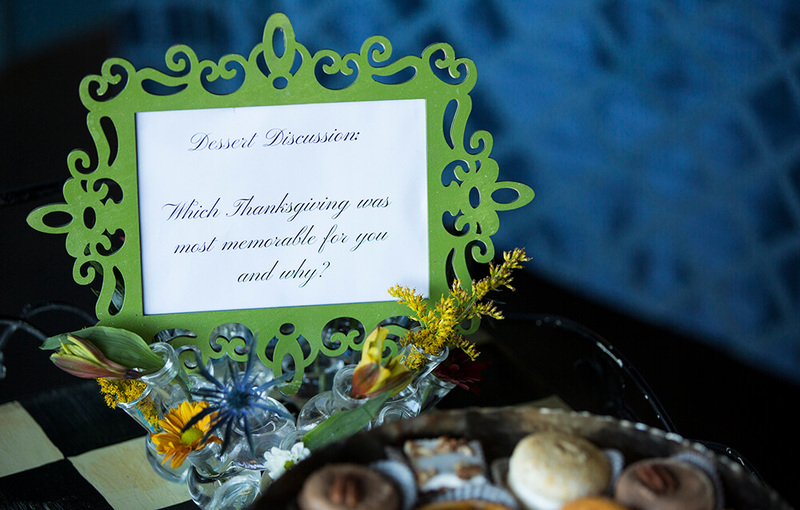 Whether or not your guests are feasting on turkey, everyone wants to leave Thanksgiving with a full stomach. 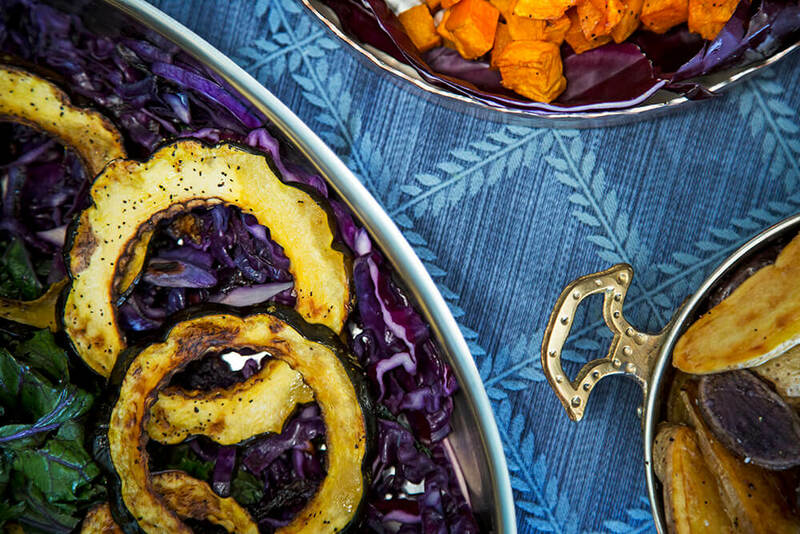 Show your vegetarian guests a little extra care and consideration by offering hearty replacements that still capture homey flavors. “I really love to use Portobello mushrooms. You can almost treat them like a meat and marinate them, then grill them,” Wilson says. “Beans are also a really nice, high-protein item that you can flavor however you want to.” Creating a salad from root vegetables is another heavier entrée option for vegetarians, and even turkey eaters will want to save room for this roasted red pepper mac and cheese, with a pimento cheese-inspired twist. Finish the evening with an after-dinner adult beverage. 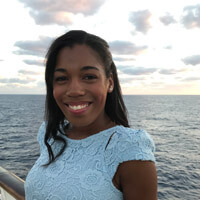 “Typically, you go with a brandy, or a sweet liqueur that you can sip on,” Wilson says. Cocktails, though a more time-consuming undertaking, can allow you to be more creative with your digestif. “My grandmother actually makes something called a whisper,” Wilson says. “It’s coffee ice cream … with Kahlúa, crème de cacao, and Baileys Irish Cream.” For a family-friendly alternative, spiced apple cider is a great warm, seasonal addition.